Note, Sherani adhesive can not be shipped from November through May, so please order with that in mind. Average shelf-life for unopened bottles is 9-12 months. It is without a question the best and most lasting lash glue I have ever used. I have watery eyes and Sherani stays on no matter what. 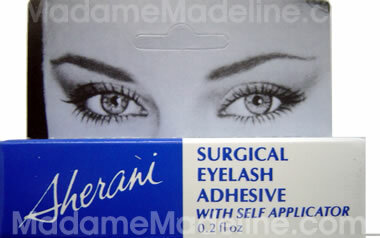 Best eyelash adhesive for thin lash band falsie even on super oily lids. This is by far the best lash glue on the market. 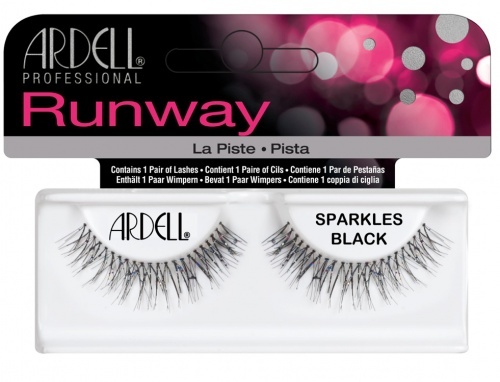 I've tried Ardell Lash Grip but the lashes start coming off at the edge at mid day. Now I will only--I mean only--use Sherani Adhesive. 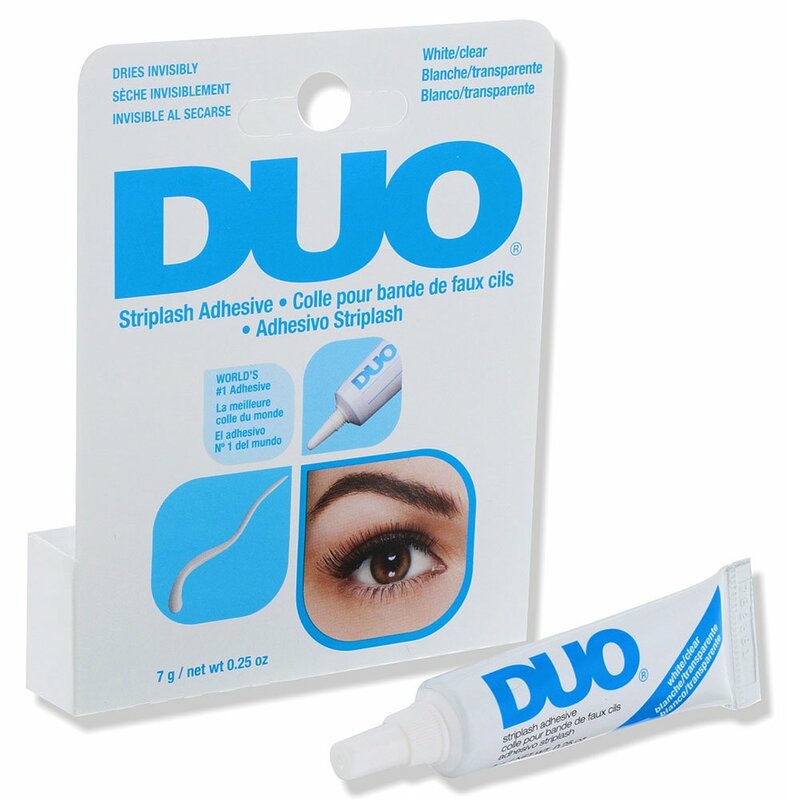 This glue is affortable and hold my fake lashes in place all day. 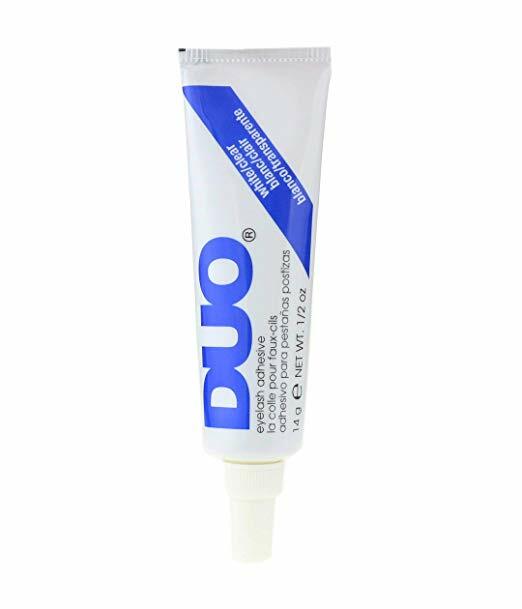 I tried this glue as alternative to the Ardell glue on my clients and I must say, it works very well both for me and the client. For me, I don't have a messy clean up afterwards because the glue dries clear. For the client, it doesn't burn their eyes lid. The best lash glue ever. I used to use Duo glue on a regular basis (and still do for half day wear) but now that I've tried the Sherani glue, I prefer to use it. It just feels like the lashes are really securely on and I can go all day without worrying about a corner lifting. Also, with the cap applicator, I can better control the thickness of the glue on my lash strips. 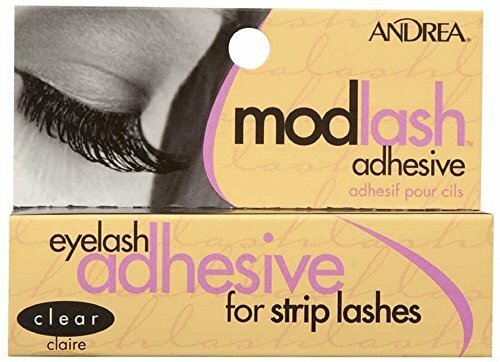 My lashes did not stay on long using this glue. I am going back to Duo. That is the best lash glue.